Click covers to buy the books! 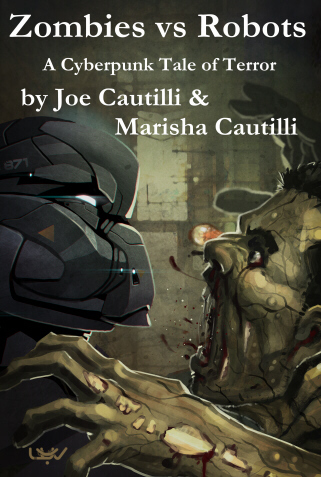 Zombies vs. Robots is now published and ready for sale! There are downloadable samples on the publisher's site. The book is published by Smashwords, the world's largest distributor of indie ebooks. They make it fast, free and easy for any author or publisher, anywhere in the world, to publish and distribute ebooks to the major retailers. The books are available in many formats for downloading, including HTML for online reading, EPub, Kindle, PDF, LRF, Plain Text abd RTF.